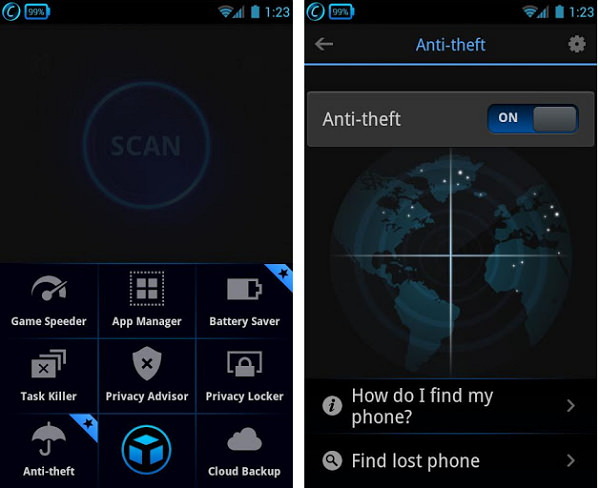 Anti-theft: Alarm, lock and get location of the lost phone. Battery Saver: Extend battery life and inform users about which apps consume the most battery power. One Tap Scan: Boost your phone's speed with only one tap. Support for Tablets: Provide support for Nexus 7, Nexus 10, Galaxy Note, Asus Transformer and most other Android tablets.